Green Notes: Happy "Ditch your New Year's Resolution" Day! Happy "Ditch your New Year's Resolution" Day! Did you know that January 17 is Ditch your New Year's Resolution Day? So many of us start off the year with great intentions - which we then abandon - that there's actually a day to celebrate the 'ditching' of our deepest desires to live a better life. Want to build a better life and a better world, but need some motivation? 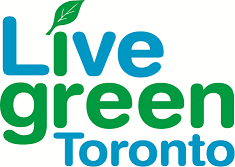 Live Green Toronto is here to help! Join us as we embark on a year-long effort #GoGreenIn2018 - and help us to #TransformTO. Follow this blog throughout 2018 as we introduce you to some of the big issues facing Toronto and offer advice on how you can reduce the emissions that contribute to climate change and help to #TransformTO. Up for the challenge? Check out the "Now, it's your turn" section further down this post. Together, we can create a climate-friendly, healthy, prosperous and equitable Toronto. What's the end goal? What is TransformTO? TransformTO is Toronto’s new and ambitious climate action strategy. It identifies how we’ll reduce our greenhouse gas emissions by 80% by 2050 while also improving our health, growing our economy, and improving social equity. More than 10% of the GHG emissions in Toronto that contribute to climate change are generated by waste. So, what's the end goal? The City’s Long Term Waste Management Strategy includes waste reduction initiatives that will help us to divert 70 per cent of the waste generated in Toronto away from landfill by 2026. To meet the goals reducing GHGs by 80% by 2050, TransformTO sets a goal to divert 95% by 2050. Our long-term goals are to divert 70% of waste from landfills by 2026 and 95% of waste by 2050. In 2016, households in Toronto only diverted 52% of waste from landfills. Achieving the City's waste diversion goals means that we must all become better at reducing and sorting our waste. It's important to recycle right. We know that sometimes it's confusing, which is why the City created the Waste Wizard to make it easy for you to find out what goes where. The City is offering grants of up to $25,000 to support innovative, community-based efforts to reduce residential waste; with a priority on projects in multi-residential buildings, multi-lingual communities, equity-seeking groups, and Neighbourhood Improvement Areas. Expressions of Interest are due February 23, 2018. Share our posts on Facebook or retweet on Twitter. Let's prove the naysayers wrong – let's #GoGreenIn2018 and #TransformTO together! Engage with us on social media (Twitter, Facebook, and Instagram) and share your green resolutions using the hashtag #GoGreenIn2018. Visit Live Green Toronto to learn more about how, together, we'll #TransformTO.